The pumpkin craze has gotten out of hand. Pumpkin is good for bread, and pie, oh, and for pumpkins. There are probably some other satisfactory uses of pumpkins, I know for example that people use them in catapults. These people are probably unemployed and so they've found this relatively harmless way to occupy their free time, to them I say, VOLUNTEER! I have been accused of being curmudgeonly before, and frankly, I believe that I'm probably too handsome to be a curmudgeon but I do not care for the pumpkin beverage craze. By that I mean the coffees and the beers. Pumpkin beer was a novelty ten or so years ago. At the time I lived in Kalamazoo, Michigan and there were three small craft breweries in the vicinity, Kraftbrau, of course Bells Brewing and New Holland Brewing. Only one of them, New Holland, made a pumpkin beer. These days if you were in a town with three microbreweries, you'd likely have 12 pumpkin beers between them. It's not funny anymore folks, it's not cute and the fact is there's so damn much pumpkin beer being made that you can drink it in April. Pumpkin coffee? Sick. I love coffee, you know what I like my coffee to taste like? Coffee. When I go off on one of these rants people say, "But Clive, you love pumpkin, and you love coffee." Yeah, you know what else I love? Mushrooms. To further complicate this tirade I've got to get into a bit of full disclosure. I love pumpkin pie, but actually, just the cheap frozen kind. I know what you're thinking. "Okay mister pumpkin beverage hater, what gives?" I'll tell you, first, as Ralph Waldo Emerson once said "a foolish consistency is the hobgoblin of little minds," but to further explain, I came from a small blue collar neighborhood in Pittsburgh. Meat and potatoes, and at Thanksgiving, that meant frozen pumpkin pie. To me, that's what pumpkin pie is, and that's what it tastes like and that's how I like it. To that point, it's pumpkin season, we know not because of the awesome jack o' lanterns we're all carving but because Big Box Coffee and every micro and macro brewery in America has unleashed their damned pumpkin beverages upon us. But, I'm here to save the day with an actual wine that pairs perfectly with pumpkin pie. Today's Friday Find is the 2010 Riesling from Antolin Cellars. From their estate vineyard, Glacier located in Zillah (Rattlesnake Hills), Washington. The wine is very pretty with lots of stone fruit aromatics, think early season peaches and apricots. It's got nice acidity, but it's far from over the top and it's a touch of sweetness with about 2% residual sugar. 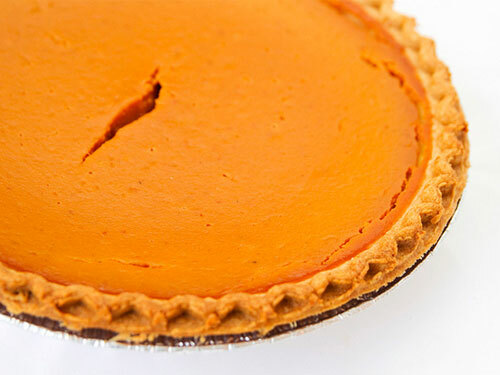 It's the perfect wine to pair with your pumpkin pie. It's a bit tough to come by, and while it's fairly available over on the Eastern side of Washington, mainly around Yakima and Ellensburg, Seattle's Wine World carries it in the $13 neighborhood. Take my word for it, the only pumpkin beverage that makes any sense is a Riesling. And this one fits the bill perfectly. You could instead continue down this road to ruin of pumpkin flavored beverages, but don't say I didn't warn you.